Dr R S Pareek was awarded the degree of Doctor of Science (Honoris Causa) for his contribution in the field of Medicine by Union Railways Minister Shri Pawan Kumar Bansal at the 78th convocation of Dr Bhim Rao Ambedkar University, Agra (formerly known as Agra university). 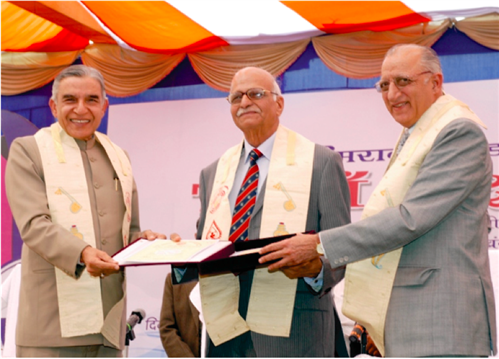 The announcement for the award was made by the honorable Governor of Uttar Pradesh Shri B L Joshi, the Chancellor of the University. D Sc is a higher doctorate awarded in recognition of substantial and sustained contribution to scientific knowledge. He is the first Homeopathic Physician to receive an honorary doctorate from a Government University.